Pakistan | Abez sez Assalamualaikum! It’s raining, it’s pouring- the engines are roaring! Then they slip and they slide into crawling. So I’m getting ready to leave for my morning meetings, but I’m doing so by staring at Google Maps and trying to figure out whether traffic is getting better or worse. It’s 8:30 am right now and morning commute traffic should be starting to dissipate, but it looks like it’s coagulating instead. Because rain. Not a storm, not a flood, just… rain. And not because the roads are flooding (come on, that’s Sharjah) but because people haven’t got the mental spare change to slow down and drive sensibly when the roads are slippery. Expats of Dubai: We got more dollars than sense. Some people like to blame the A-rabs of A-rabia and say that the miskeen desert dwellers do better on dunes than raindrops, but the population of the UAE is only 18% local Emirati. Everyone else comes from places where not only does it rain- it also rains a lot. The US, UK, Bangladesh, India, Philippines- none of the drivers from any of these countries have an excuse for the traffic chaos that a light sprinkle causes all the way across town. 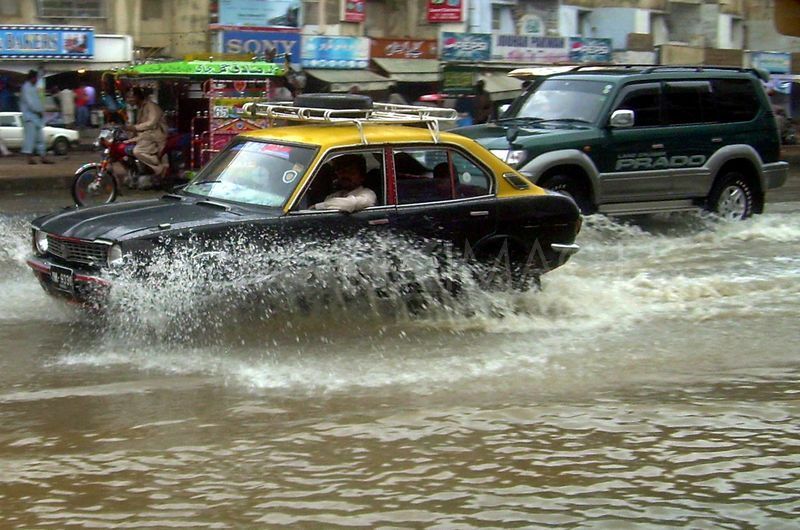 Come on- even Pakistan has a monsoon season and not only are Desi drivers accustomed to driving in torrential rains, we know how to float our tiny Altos and Mehrans through flooded gallis like tin gondolas through a knock-off of Venice. Even as a child I remember my father floating a Bolan through two feet of water in Azizabad, Karachi and having a great time. We do rain. 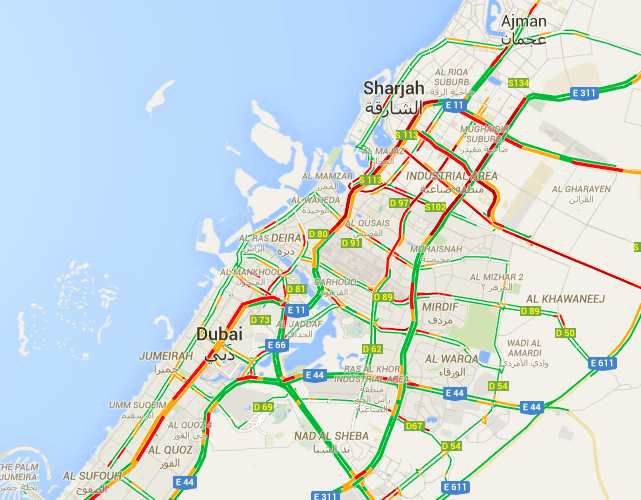 But for some reason, Dubai doesn’t. I don’t have an explanation for it, but I do have fifteen more minutes to watch the road, and if it’s not clearing up, I’m leaving for my nearby meeting sixty minutes early rather than fifteen.